Some fathers can handle being in the spotlight, so when it comes time for these dads to write their speeches, the words come spilling out. But others feel shy about the experience, and for good reason! On such an important day, in a room filled with close friends and family, it’s easy to let emotion get the best of you. Here we’ve compiled some practical advice that can help even the shyest dad have his moment. First, focus on what they want to say rather than worry about how they want to say it. Take time two to three weeks prior to the ceremony to write several thoughts on the wedding day. Make sure you have all your thoughts together first, then play around with the words. If you’re not sure where to start, begin with what you know best, your daughter. Add your favorite memories… when her first smile captured your heart, a first day of school…From there, welcoming the spouse to your family and wishing the bride and groom a happy, prosperous life together. Once you have your words down, practice, practice, practice. And don’t underestimate the power of reading it aloud in front of a mirror. What sounds good in your head may trip you up when you hear it spoken, so be sure to get comfortable well before the reception. Deliver your speech from the heart. 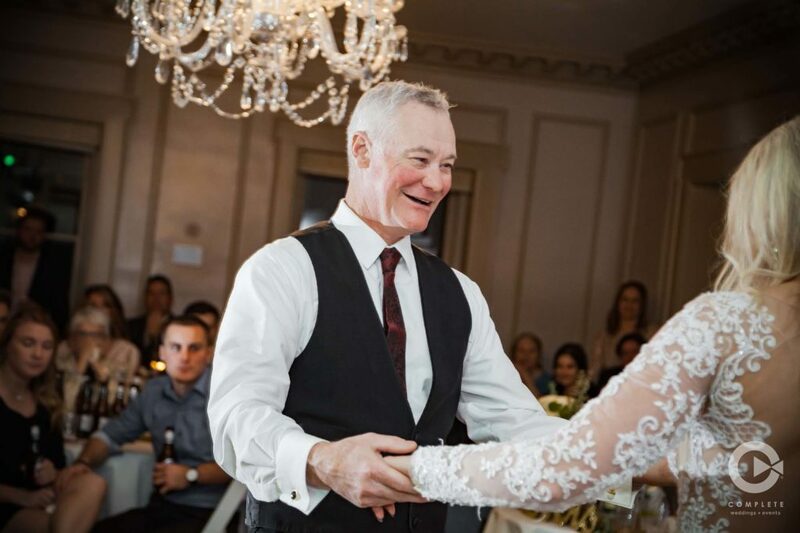 The father of the bride’s toast is a special moment for the father and the bride and it’s one that will make everyone in the room teary as soon as you stand up. Know that no matter what you say, your little girl will love every second of it. Just as much as she already loves you.